The night before the big Caravan Palace show in Pontiac, we stayed at the Dearborn Inn. The following day before traveling to Monroe to pick up family for the concert, we stopped off at the Henry Ford Museum, a monument to the American experience and to industry in particular. If one ever wanted to visit the Church of American Individualism, this is it. The information and breadth of the museum is worth the visit, with excellent explanations detailing both the pros and cons of the Industrial Revolution in America. The museum has everything from grinders and milling machines to vast steam engines, locomotives, and of course, cars and airplanes. Well, sometimes life gives you an opportunity and you just run with it. We went to Pontiac, Michigan to see the last stop of Parisian band extravaganza Caravan Palace, and while stopping off in Detroit took a gander at the first new breath of life in the city's old, and small, Chinatown district: the Peterboro restaurant. With a Cantonese-American chef, fresh and local ingredients, and an amazing, and well-selected, contingent of craft beers, sake and wine, the Peterboro was a thoroughly enjoyable and unique experience. Ever think you'd hear Beastie Boys blasting away in a Chinese eatery? Well you will here! Our visit in San Francisco for my uncle's 80th birthday was a fabulous time. 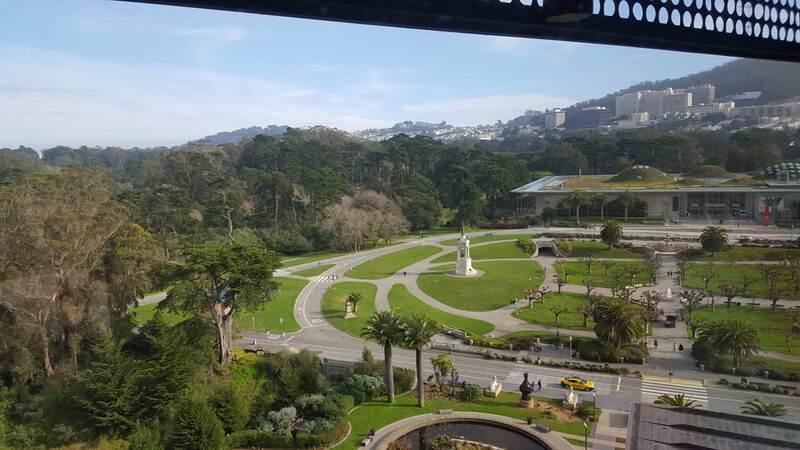 As part of the pre-party perambulations, he took us to visit the de Young Museum in Golden Gate Park, which with its remodeling is an impressive, occasionally foreboding, and very contemporary piece of architecture. Its inverted pyramidal tower is flat out amazing though, giving a bird's eye view of the city in all directions. The museum itself houses very choice selections of ethnographic and contemporary art, distillations which are sublime in both aesthetic and rarity. In the distance one can see the California Academy of Sciences, which houses the famous Steinhart Aquarium. b. patisserie of San Francisco was a recommendation by a family member, and it was exquisite. A Parisian and Viennese bakery founded by pastry chefs Belinda Leong and Michel Suas. A Chinese-American and Frenchman, their rather fascinating story can be read on their website. The facts on the ground are that their coffee is excellent, and their pastries are fantastic. Subtle, delicately made, perfectly formed, with hints of nuance that only comes from food made with both extensive experience and creative passion, b. patisserie is truly a delight. The Church of the Covenant is located on the corner of Newbury and Berkeley Street in Boston, only one block away from the idyllic Boston Public Garden. The Church is one hundred eighty years old, and done in the Neo-gothic style. This progressive institution hosts various services for the public good, including Women's Lunch Place, where breakfast and lunch are served six days a week to Boston's homeless women. Patrick Benesh-Liu passed by this good Samaritan work several times while walking to the Society of Arts and Crafts. The Church is also home to Gallery NAGA, which sells the art of Boston painters. The Boston Public Garden is a beautiful site to stroll through in the early morning hours, and is located adjacent to the Boston Commons. Associate Editor Patrick Benesh-Liu had the fortune to experience its tranquility after a redeye flight to Boston in order to attend the 2015 Society of North American Goldsmiths conference. 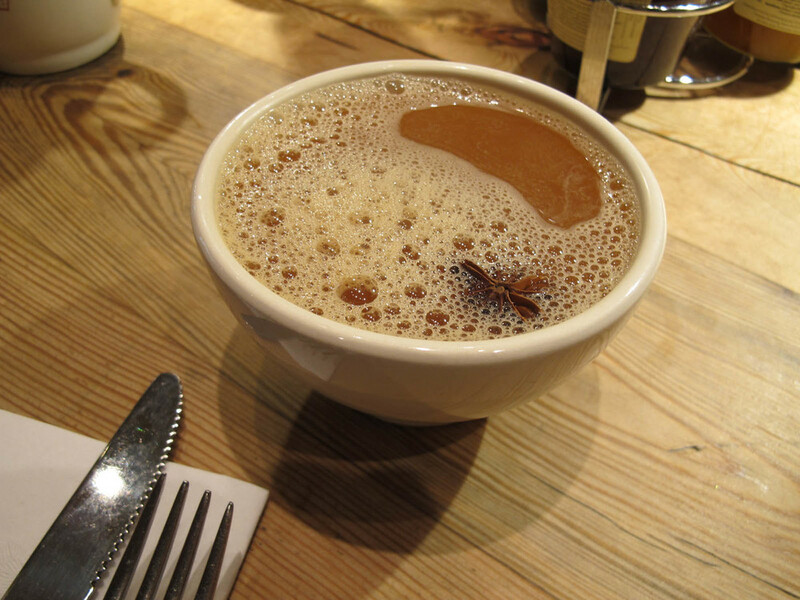 Drinking a hot cup of spiced cider at Le Pain Quotidien in Rittenhouse Row on Walnut Street, Philadelphia, PA, during the Philadelphia Craft Show. The Di Bruno Brothers market and deli in Philadelphia on John F Kennedy Boulevard and 17th Street. A recent find by Ornament coeditor Carolyn L.E. Benesh, although well known to locals. 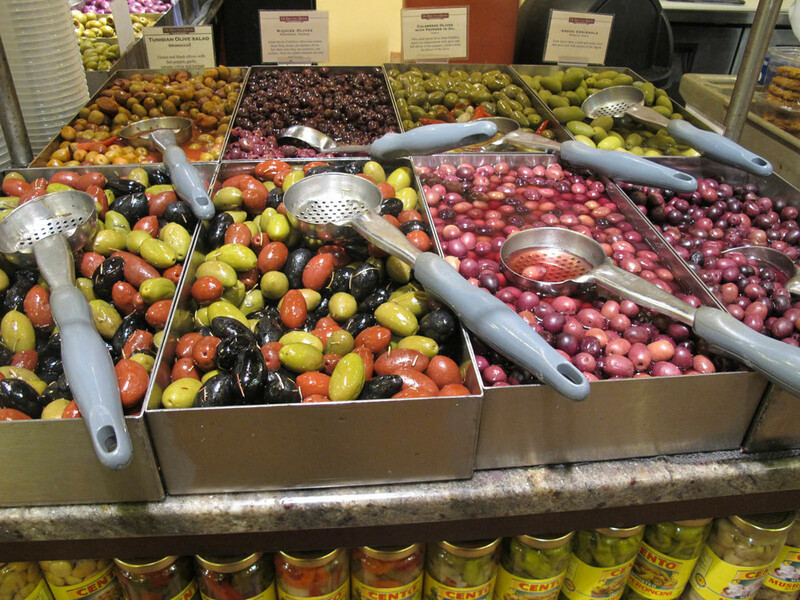 A nice picture of the olives available for sale at Di Bruno Brothers. The blooming of the various trees in the suburbia of Washington D.C. during the month of April is a sight to behold. Brass Connection in Washington, D.C.
Homegrown family band Brass Connection test their instruments prior to a bit of musical activism. A hit among the youth, passersby, and any true lovers of music, the band is among many street performers who strike up a lively discourse of entertainment through the boulevards of Washington D.C during the Smithsonian Craft Show. The dcTrunk Show began as an alternative venue for artists during the Smithsonian Craft Show. Begun and organized by the artists, many of the craftspeople present have been formerly in the Smithsonian Craft Show. Here is paper jewelry artist Kiwon Wang enjoying the ambience of the trunk show with fellow enamel jewelry artist Christy Klug. A happy dog snoozes in the shade of a house at a small historic village in South Korea, on the way to Daegu. The village was known for making deep bronze/brown dyes from persimmons. We were lucky enough to be given a tour of Korea by bojagi artist extraordinaire Chunghie Lee, during the first Korea Bojagi Forum. The world around us is a blur of sensations, places and opportunities. 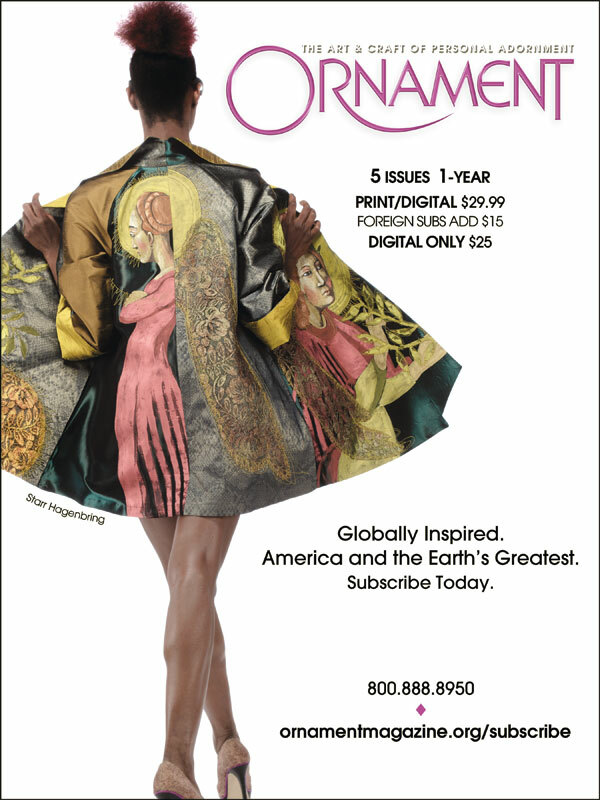 Ornament On The Move acts like a lens to focus your attention on the timeless experiences found in the every day, around the United States and the world, as we offer photographs from our travels. We hope they allow you to gaze and savor distant realities, and inform you as to the possibilities which may just be around the corner.